Last night (Friday) we went for a meal with two other lads who we met on the beach. Both were on Australian visas. 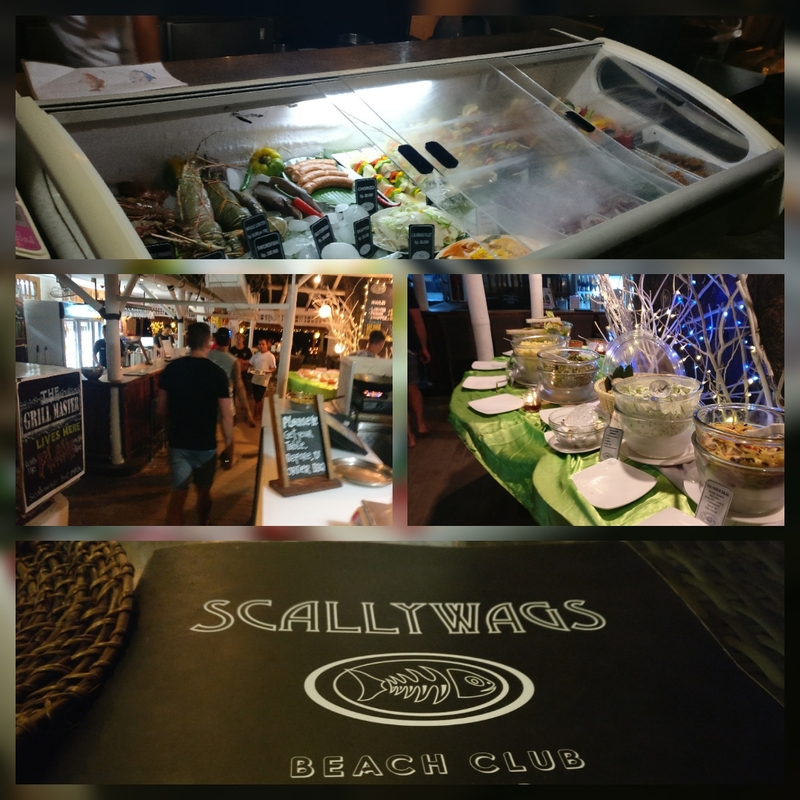 The place we went was called Scallywags. Them and a lot of the restaurants across the sea front provide a barbeque with a choice of meats. Fish such as calamari, tuna fillet, barracuda, snapper or chicken and vegetable skewers. Highly recommend this place. All cost around 100,000 (£5.70) and you get unlimited sides so you can pile this on as many times as you like. A buffet like this would cost about triple this price in London. We had a few bintangs, a very popular beer on this side of the world, then headed back to our hostel. We got speaking to a few guests before hitting the hay. We thought the hostel was great. In the morning we decided to rent out some bikes for the day, so we could travel the whole way around the island. It cost 30,000 each just under £2 each. The bikes we had had small tyres. If you can, try to get sand bikes with tyres like monster trucks, because everytime we hit the thick sand path, we had to jump off and walk. Our first stop was our favourite breakfast place, Mowies Bar. All you have to do is purchase something, and you can take a seat on their loungers or bean bags. It’s right on the beach and we found that you get less hassled by people trying to sell you something. This place does excellent brekky. Eggs benedict and beetroot betty (my favourite), all served in a hollandaise sauce. I also got lunch here and ate one of the most popular dishes, Nasi goreng. 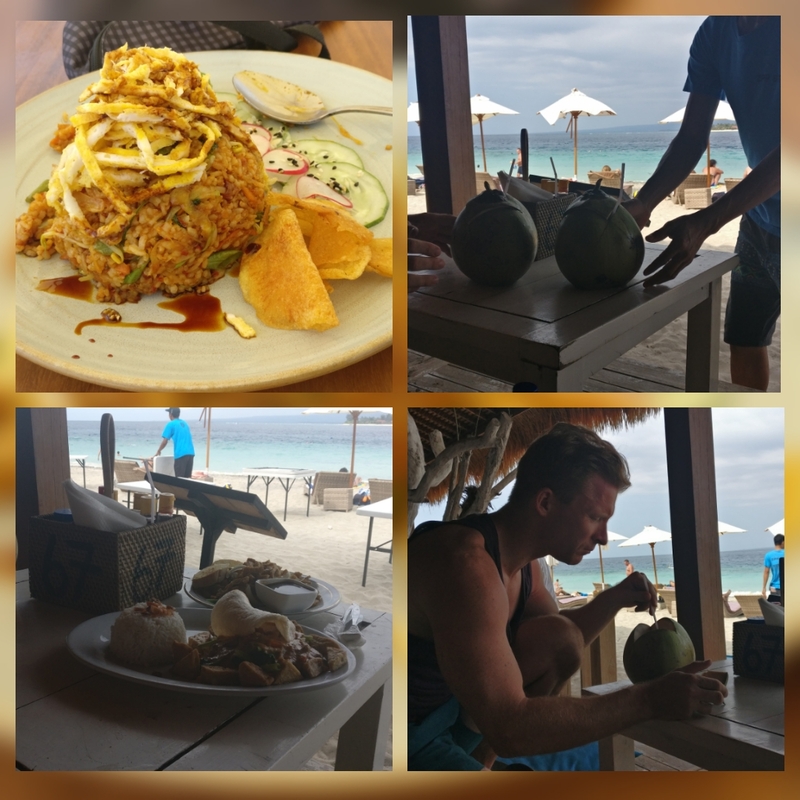 We also tried some coconuts. Tasted so good. 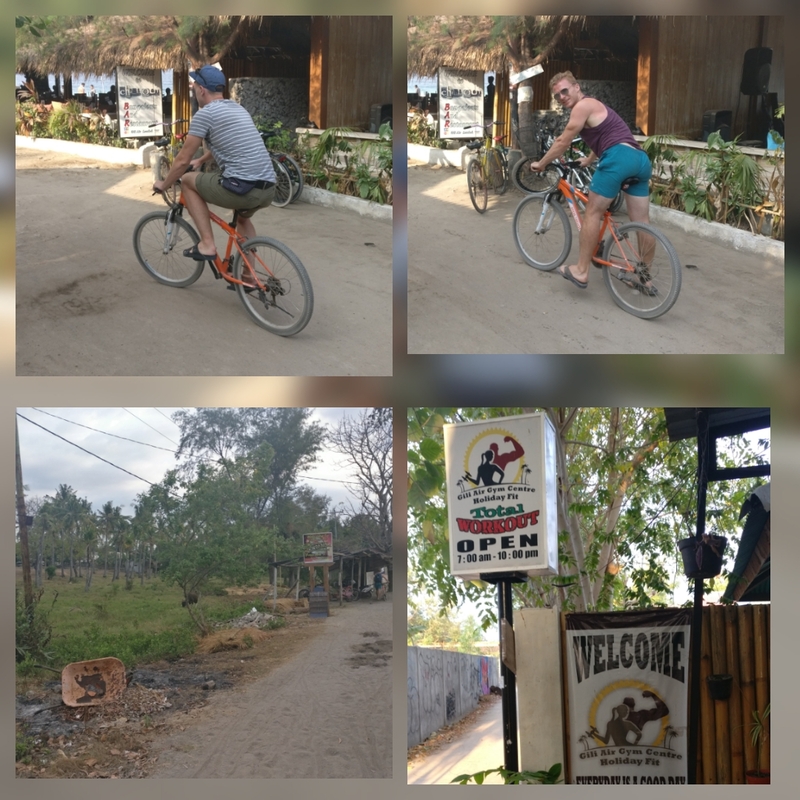 We got back on our bikes and continued south of the island, making pitstops along the way. We stopped for some more pool and a fresh fruit smoothie. We avoided the sun mostly due to being slightly red from the day before. 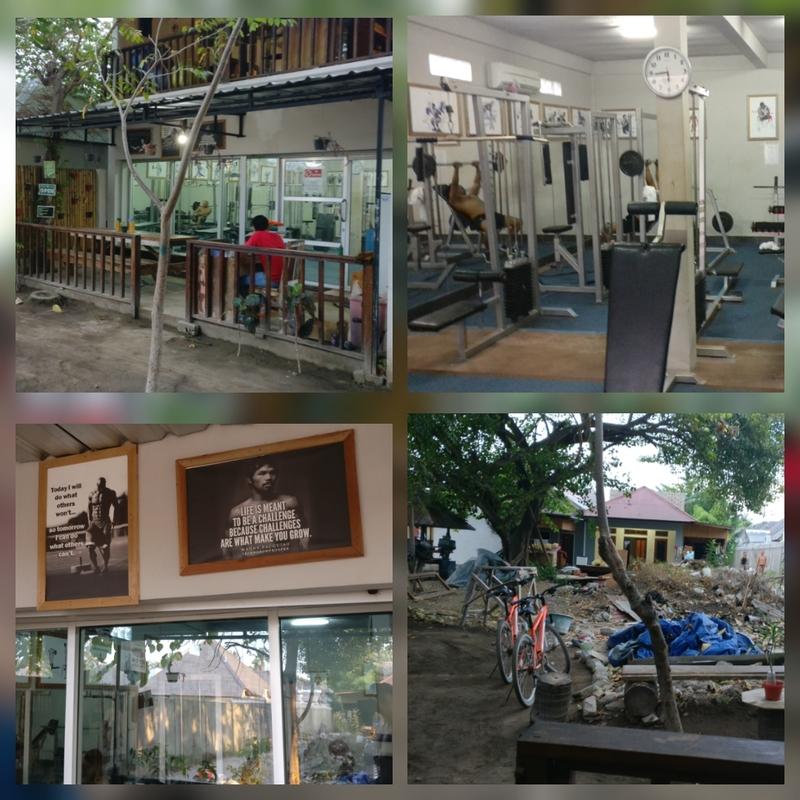 On the way we back we went for a workout at a gym in the middle of a neighbourhood. 50,000 per session or a week for 100,000. They provide you with a cold towel and cup of water. The equipment is a bit old but does the job. We got a bit lost trying to find it as it’s like a maze in the island. Plus there are so many chickens and Cockerels walking around as well as residents carrying materials or riding horses. No cars exist, which I kinda like. We chose to walk everywhere as the horses always looked so exhausted. 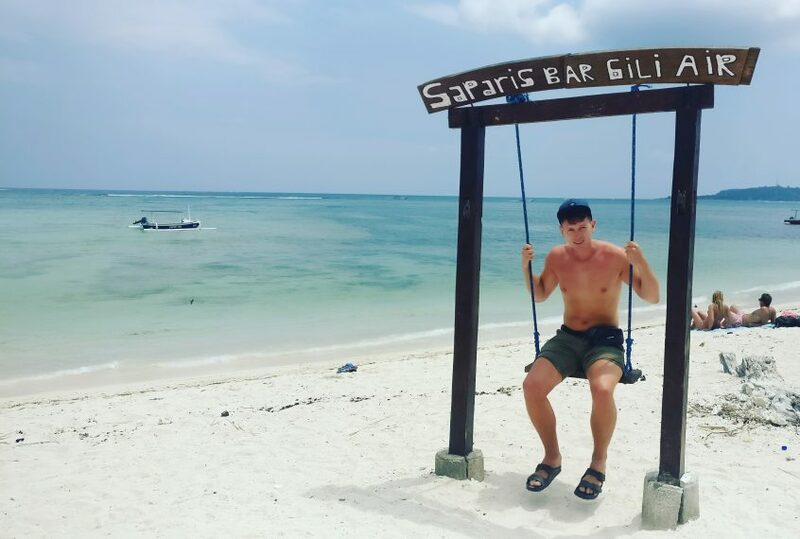 We decided to shorten our stay in Gili Air. It’s very quiet and more for couples in our opinion. The next stop, Gili Trawangan, the party island. I’ve heard from other travellers that it’s great. We will be staying at the La Boheme hostel, they serve unlimited banana pancakes, so I’m sold. It’s also considered one of the best hostels for partying, so goodbye sleep. Our plan is to sunbathe for most of the day, and get the boat to Gili T at 3pm.